Each coming years introduces either new technology or trends. With the upcoming of latest technologies and trends, the developers need to keep track of it and improve user-experience that will deliver better results. In a way, the future of web development depends on the rising number of web applications that involve the latest technologies and tools. It is not a big deal to develop large-scale websites and application in today’s world, as the speed of modern tools and technologies make the task easier like never before. Yes, you got it right, we are talking about ReactJS, which has become the hot favorite of developers and is climbing the popularity charts every single day. This technology helps in building interactive and attractive user interfaces. It also offers excellent performance and is extremely easy to use for programmers. Today, 100,000+ well-known sites like Pixnet, New York Times, Slack and others with heavy traffic use this library. Moreover, the popularity of React JS had recently increased by 300 percent, according to the 2016 StackOverflow developer survey. Now let’s have a look why is ReactJS preferable for web development. In code stability, ReactJS uses downward data binding. Through one-directional data flow and making this technology just a view system, Facebook has ensured that any changes to the child elements will not affect their parent elements and data. Moreover, it ensures that the code remains stable while allowing for direct work with components. With the use of this technology, the developers need to modify its state and apply updates, as changing an object is very easy. As a result, only the allowed components are upgraded maintaining the overall code stability. Reuse code components is another significant advantage of ReactJS, as developers can save a lot of time and energy. Since every change is not necessarily affecting each element in the system, ReactJS manages the system updates straightforwardly. Moreover, the developers can reuse the react components as they are isolated and change in one does not affect the others. Hence, developers coding becomes more precise and comfortable. It is incredibly effortless to implement into any plan with ReactJS, as it is a library and not a full-fledged framework. In term of quick adoption, what makes it so attractive is just a view layer. One of the best features of ReactJS is fast rendering. The accelerate update process and amount of DOM operations and optimize alleviated by the smart methods in ReactJS, where all these things make the overall rendering very fast. 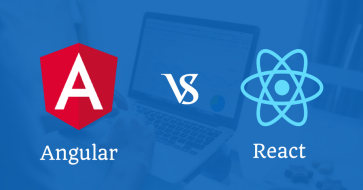 Hence, organizations can quickly and easily build UI rich applications with good performance using ReactJS, as it is effortless to test, edit, and debug the code which makes the web applications very maintainable. 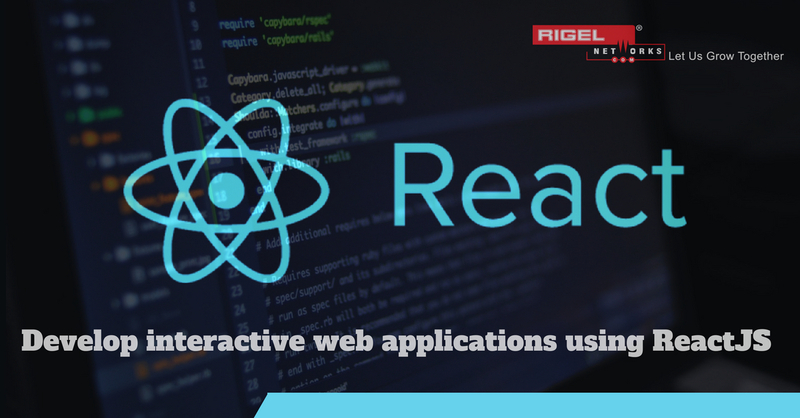 Rigel Networks being one of the early adopters of the technology has made its influential mark as the leading ReactJS Development Company in India. Holding strong ReactJS competence and a team of dedicated ReactJS developers, we build highly functional web products. Our ReactJS Development Solutions and Services are designed to fit business of all sizes – from SME’s to large enterprise.